Dr. Safferstein joined the PLSG in 2007, and is now also Senior Vice President of Cognition Therapeutics, a PLSG portfolio company. He serves on the board of directors for Ariel Precision Medicine. He served as Vice President, Business Development, for Omrix Biopharmaceuticals, a commercial-stage company that develops and markets biosurgical and passive immunotherapy products. Prior to joining Omrix, he was Executive Vice President, Corporate Development for TransPharma Medical, a privately-held medical device company. From 2001 to 2005, Dr. Safferstein was Vice President, Business Development for Acorda Therapeutics, a central nervous system drug development and marketing company. 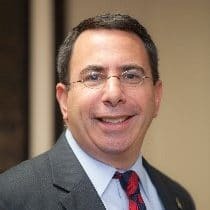 Prior to joining Acorda Therapeutics, Dr. Safferstein served in various business development and marketing positions with Bristol-Myers Squibb, a multinational pharmaceutical company. From 1991-1997, he was Director, Technology Transfer at the National Heart, Lung and Blood Institute and Cooperative Venture Manager for the National Institute of Allergy and Infectious Diseases, National Institutes of Health. Dr. Safferstein was an NIH Post-Doctoral Fellow and Fellow of the Multiple Sclerosis Society. He received a BA in Biochemistry from Rutgers University, a Ph.D. in Human Anatomy and Neurobiology from the University of Louisville, a J.D. from the American University, Washington College of Law and an MBA from Columbia University.